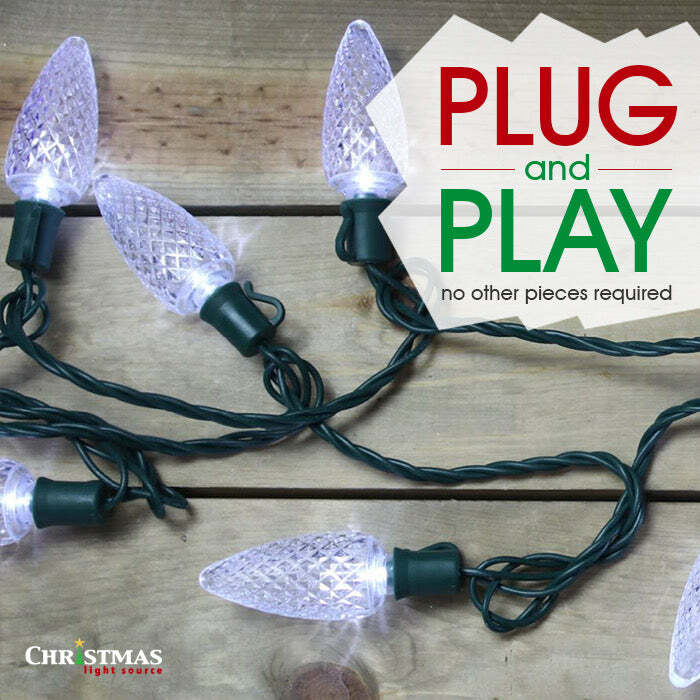 What makes these LED Christmas lights a favorite is that they can be run end to end with 35 sets of them on one outlet. Which means that a large area can be covered from one outlet. This makes them super convenient to use. Virtually unbreakable, colors will not fade or peel. Bulbs use up to 98% less electricity while remaining cool to the touch. Replacement Bulbs.